Purchasing this item will earn you 1436 reward points (Reward Points Rs. 143.60) ! Purchasing this item will earn you 1436 Rewards points (Rs. 143.60) ! The Zoom G1u uses parameters such as gain setting range and harmonics component characteristics to convincingly recreate 20 types of guitar amps and stomp boxes. And there are 10 original drive types settings as well, producing quality sound and dynamic presence. 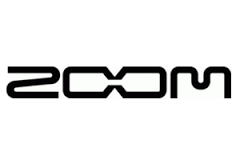 Zoom is a Japanese audio company founded 1983 manufacturing effects pedals for guitars and basses, recording equipment, and drum machines. When you buy pro audio online, you need to know you are getting the best price, even for an effects pedal for your bass guitar online. Well known for the G1 and GFX-8 multi-effect pedal, Zoom combine advanced technology with simple interfaces allowing the musician to play their best. The company designs its own microchips and many of their devices are built around technology invented by the Zoom company itself. 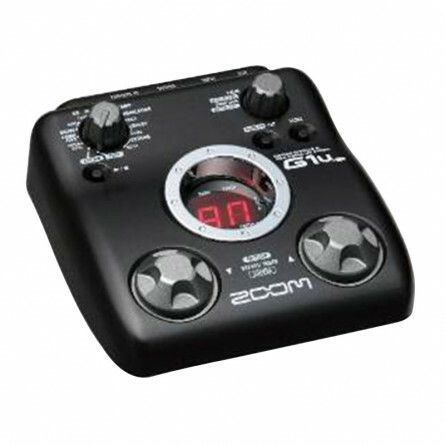 Musikshack has the cheapest price musical instrument, including a range of Zoom products.